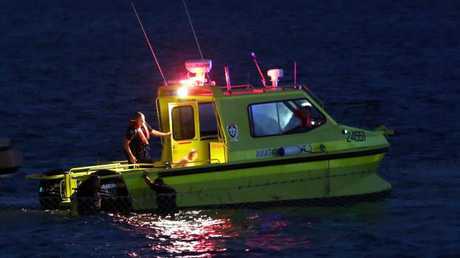 THE distressed partner of a missing free diver screamed uncontrollably as police located his body which was believed to have been trapped in shark nets at a beach in Sydney's south. 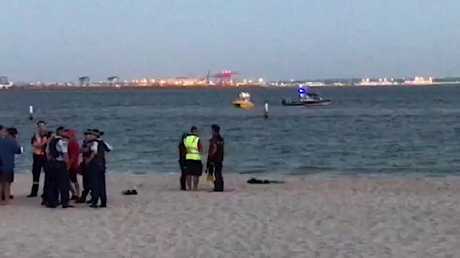 Police divers were seen cutting the nets to recover the man at Brighton-Le-Sands after he disappeared while diving, triggering a large-scale search last night. 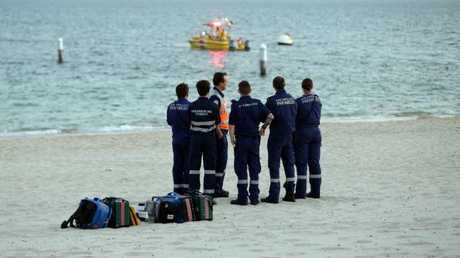 Emergency services were called to Brighton Le Sands about 7pm after the man failed to resurface. Witnesses said the man's partner was screaming uncontrollably and had to be restrained by police as they retrieved his body from the water. They said they believed the man had been caught up in the shark nets at the beach and saw police divers cutting the nets to recover him. They said the woman was screaming as police finally located the body. "She had to be restrained by police understandably," the man said. 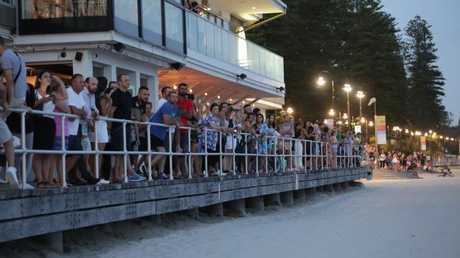 It is understood the freediver, aged in his 30s, was with his partner in the netted area near Brighton Bar, and she raised the alarm. 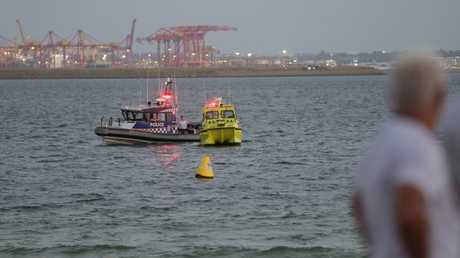 The man's body was pulled from the water into a rescue boat about 8.30pm. A large scale search was carried out. Emergency services and locals at the Brighton Le Sands Beach.